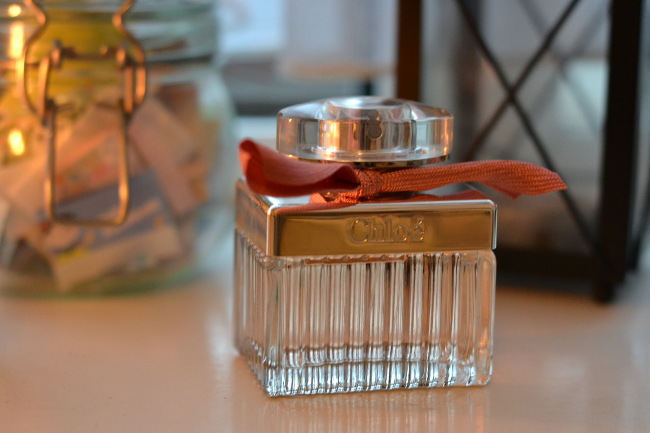 This week I’ve been thoroughly enjoying indulging in the new Chloé fragrance to ease myself into those dreaded dark mornings. I’m a huge fan of Chloé scents, and their See by Chloe number completely stole my heart this summer. But this Roses de Chloé choice has made a surprise attempt at climbing up the parfumerie stakes in my collection. Roses de Chloé is, of course, a floral scent. A fresh and tender scent, it lends itself to a softer and warmer note that is perfect for the autumn. It is currently the starlet of Chloé’s newest video campaign, which features a beautifully unique dance interpretation of the flower itself. Whilst rose scents aren’t usually my go-to, this heady blend of rose essence, magnolia accord, white musk and amber combine for a fresh yet season perfect update of their signature scent. An ideal gift for best friends and sisters, or to tide over the October blues. Available at The Perfume Shop from £51.50 (EDT 50ml). Disclaimer: I was gifted this bottle for review purposes. All opinions are my own. Video inclusion is not sponsored.